“Dingbat” is a word with many meanings. It’s a synonym for nitwit. In typography, it’s a symbol used in place of a letter. And in Los Angeles, it’s a particular type of multi-family housing, dominant in the 1950s and 1960s and alternately maligned and embraced over the decades. 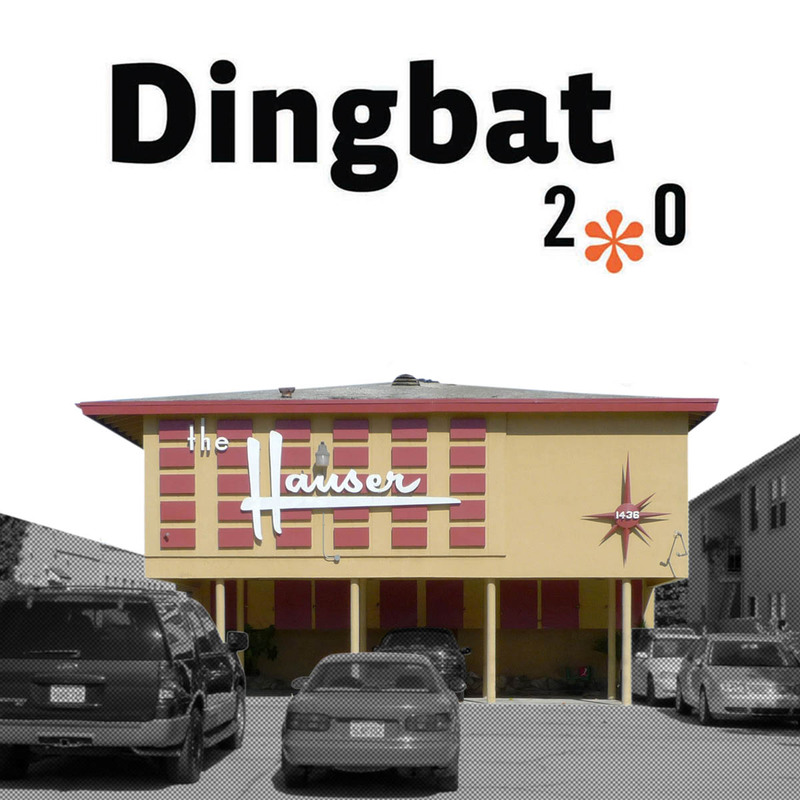 Dingbat 2.0, an upcoming publication from the Los Angeles Forum for Architecture and Urban Design (LA Forum), explores the history and future of dingbat apartments. 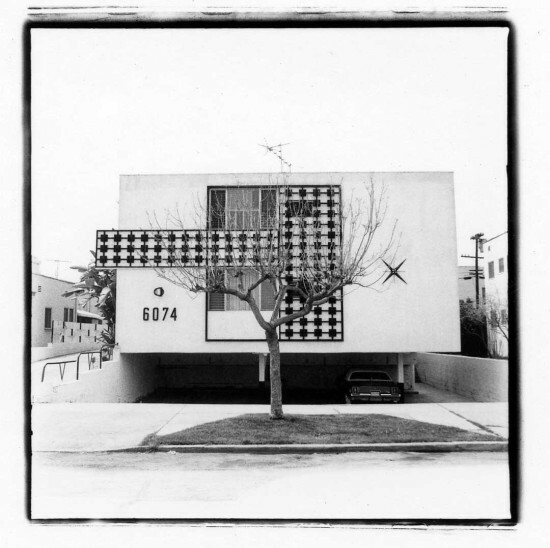 The subject of a current Kickstarter campaign, Dingbat 2.0 brings together essays on the origins of the Los Angeles dingbat with highlights from the LA Forum’s 2010 Dingbat 2.0 competition, in which participants were asked to reconfigure the dingbat for today’s urban reality. The dingbat is a “really interesting architectural type that can be looked at in a lot of different ways,” said Thurman Grant, co-editor with Joshua G. Stein of Dingbat 2.0. A subset of what John Chase and John Beach called “the stucco box,” the dingbat is unornamented except on its street-facing facade, where applied texture, rear-lit sconces, and pressed-wood script bearing the building’s (often fanciful) name differentiate one structure from the next. In obeisance to postwar cultural norms, dingbat developers built a separate entrance for each apartment, and made room for the automobile in a ground-floor carport. “In one way [the dingbat is] kind of sticky, in that you can apply a lot of things to it,” Grant said. “But it’s also kind of slippery, because you have these apartment buildings that are very clearly dingbats, and others that could be dingbats.” Part of the Dingbat 2.0 project is to better define the dingbat apartment typology. But the dingbat is more than just a historic artifact: it’s also a contemporary problem. The dingbat began as a waystation for upwardly-mobile immigrants from the Midwest. 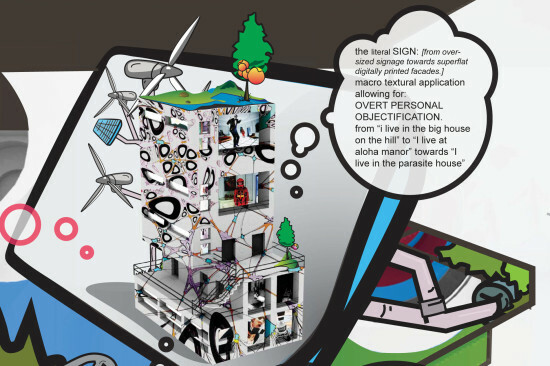 Today’s urban nomads have a different set of needs, which aren’t necessarily addressed by the car-centric stucco box. “That’s what the LA Forum initially identified [in the Dingbat 2.0 competition],” Stein said. “Something’s changed…We want to figure out what would better serve those kinds of populations.” The 2010 competition began a conversation that continues in the Dingbat 2.0 publication, many of whose contributors served on the competition jury. Whether the topic is the dingbat’s historical backstory, the appropriation of the dingbat aesthetic by 1970s avant-garde artists, or a speculative reimagining of small-lot development, Stein sees Dingbat 2.0 as a vehicle to better understanding the Los Angeles of today. “The book becomes a handbook to describe the life of the common Angeleno,” he said. 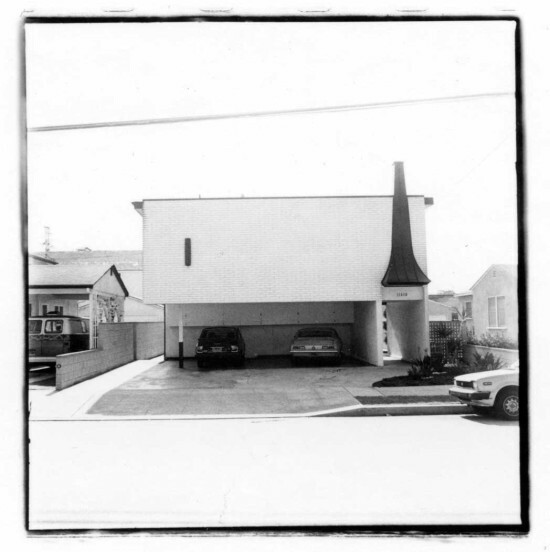 Dingbat 2.0 includes essays by Barbara Bestor, Aaron Betsky, James Black, Dana Cuff, John Kaliski, John Southern, Steven Treffers, and Wim de Wit, plus a photo essay by Judy Fiskin. Click here to contribute to the Dingbat 2.0 Kickstarter campaign.